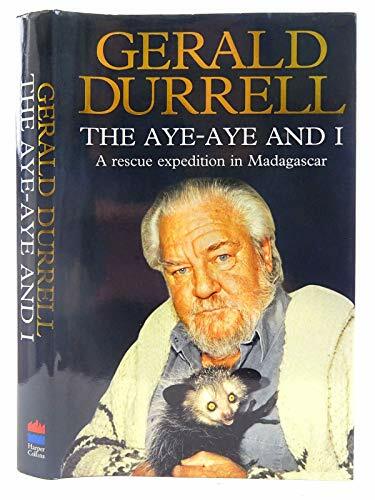 This expedition book recounts the search on the island of Madagascar for the aye aye - a rare creature which the Malagasy people have imbued with strange magical powers. The Jersey Wildlife Preservation Trust decided to bring specimens back for breeding. This book tells of their quest. This expedition book recounts the search for the exotic island of Madagascar for the aye aye - a rare creature. The Malagasy people have imbued it with strange magical powers - in one tribe the aye aye's slim third finger is dried and used by the village sorcerer as a magic charm against evil. But as the villagers continue with their "slash and burn" agricultural policy, an aye aye's natural habitat is all but being destroyed. The Jersey Wildlife Preservation Trust decided to bring an aye aye back to build up a breeding colony. This book tells of this quest.